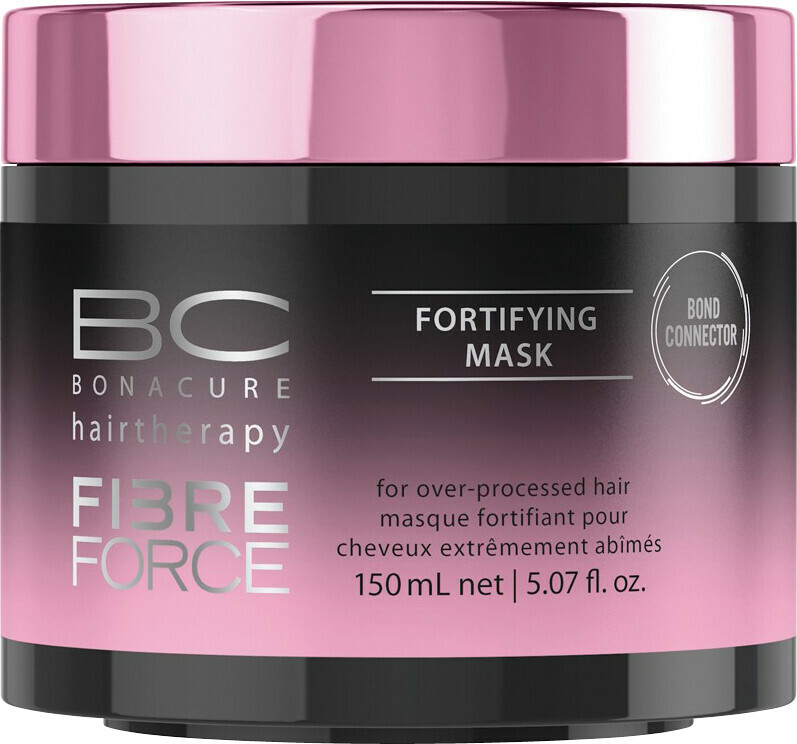 Strengthen your extremely damaged and sensitised hair with the Schwarzkopf Professional BC Bonacure Fibre Force Fortifying Mask, a recharging weekly mask. When hair is severely over-processed, brittle and broken, it needs to be refortified. This intense, rich cream does just that, working to restore hair fibres and replenish cell bonding with keratin, while strengthening the Cell Membrane Complex. Used once a week, it gives your hair a real boost of energy, helping to detangle and improve combability, while perfectly sealing the hair surface. Work into towel-dried hair and rinse out after 5-10 minutes. 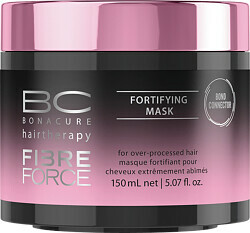 Schwarzkopf Professional BC Bonacure Fibre Force Fortifier Treatment 750ml is rated 5.0 out of 5 by 2. Rated 5 out of 5 by Nadine2003 from Perfect balance Perfect balance of price and efficiency. This is one of the most effective products for my dry, colored hair which I have ever tried. Better than many more expensive brands. Must-have in the cold climates.